During the 10 years of its existence Kshatriy has earned a strong reputation on the Russian dark ambient scene. Among his works are 3 full-length CDs on our label Muzyka Voln, collaboration releases with Vresnit and Bardoseneticcube and also several tracks on compilations including the recently released LP "Drone-Mind // Mind-Drone Vol. 3" (Drone Records, 2014). This recording is the first finished studio material recorded by Sergey Uak-Kib in 2005. Initially it was released by the author himself as a small CD-R edition, all copies of which were quickly spread between friends and collectors. This year the album was taken out of the archives, remixed and remastered and we are pleased to introduce it to your attention in a renewed form. Cold, dark and empty cosmic-scale spaces turn into rare oases of living pulsations but this illusion of immersion in organic matter doesn't last long and dissolves in endless flows of sonic winds. The album features almost no melodic lines but its fractal-patterned structure gives the music the magical power that allows to keep the listener's attention captured throughout this short trip. The physical release is made on quality pro-CDRs in an edition of 77 copies in a sleeve of designer silvery cardboard. On CDR we find music by Sergey Uak-Kib, better known as Kshatriy, who has released a whole bunch of releases before. This particular release is the first finished recording he ever did, in 2005, and of which he distributed a handful of copies to friends. We didn't review that one, but his later works found themselves into these pages. Now it's re-issued again, in an edition of 77 copies, and the four pieces span thirty-six minutes. The heavy transformation of any sound given, but most likely field recordings create Kshatriy’s music. I can easily see Sergey traveling the Siberian land and capturing some arctic wind into his microphone and melting these with field recordings of contact microphones scraping the permafrost. Did you say Thomas Köner? That's probably a valid point of reference, or indeed other in Isolationist one-man studios around the world, from say the mid 90s onto the present day. 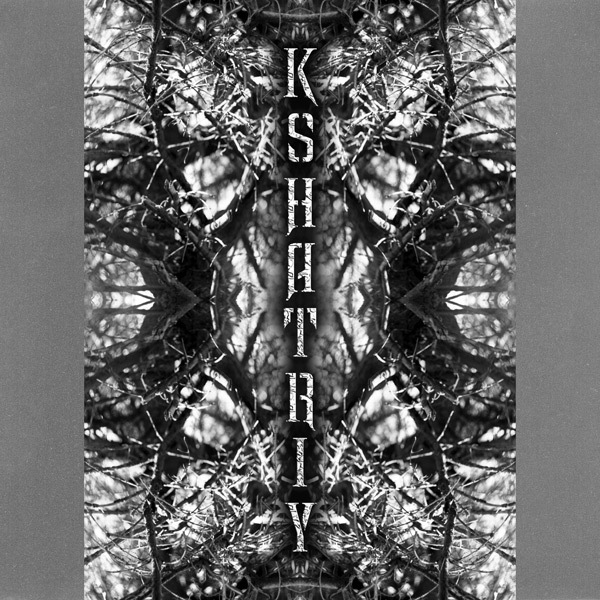 All atmospheric, all dark (how often do I use these words on a weekly basis, I wondered), but Kshatriy has it's own blend, certainly in these earliest recordings there is a nice raw edge to it. Not that smooth, but with a grittier, somewhat metallic undercurrent. Nice and rough. 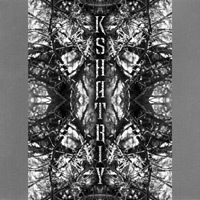 Kshatriy’s unnamed disc contains a reissue of the first self-published album (2005) by Sergey Uak-Kib’s ambient project. The short album well predicts the great works that are going to come after it. Like them, it is spatial ambient, in the vein of Lustmord’s strongest period albums. The echo works well, enough changes are present, and the whole is robust enough to feel well thought-out. At times there is also some gimmicry, which reminds the listener that one is still dealing with early material, but it doesn’t detract from the experience too much. To be honest, this debut does not reach the quality level of Kshatriy’s later works, but it’s a good record nevertheless. Especially the pulsating third track is particularly impressive. All in all, the disc is something more for passionate collectors than a place to start one’s examination of the artist’s music. Good basic dark ambient, and a signpost of the direction things were going from the very start. The ancient warrior Kshatriy has been very productive during the past ten years releasing his epic creations with enviable frequency. Make no doubt about it, you will experience new atmospheric soundscapes really soon as the new album "Sunyata Research" is passing the latest stages of recording and mastering right now. But before it sees the light and reaches its faithful audience, this Russian fella decides to re-release his first studio material from 2005 through the well-known Zhelezobeton label. Initially it was issued as an extremely limited edition CD-r back in 2005 and spread between friends and collectors, but it was extracted from archives recently to receive new colors and meet the wide fan base accumulated during ten years of activity. As you may remember, Kshatriy as ancient Indian caste of warriors and governors possessed not only a physical strength and intelligence but also a deep spiritual development. Only fables from those golden ages have survived until today, that's why I would like to express a special gratitude to Sergey who recreates diligently this spiritual connection through his astonishing music. What is common for all Kshatriy releases is a cold and wide ambience that always fills my room with its chilly breath and this early material is not an exception as well. Sergey manipulates skillfully with the strings of my imagination and builds structures of universal scales. The elements of fractal textures are used ubiquitously, blossoming with myriads of colorful grains. The main drawing lines can be recognized quite easily whether it is a droning background hum like in "Part I" or a circling carousel with a light melody in "Part II" , but unlike many other albums of space ambient genre, there are a lot of things happening all over the place. Drops of water, drilling and clicking noises, working machinery sounds, dozens of special effects cover the music. But even when their density on each square millimeter of sound is quite high, Sergey doesn't forget about the balance and that it is easy to neglect hypnotism and meditative origin of the music which purpose is to uncover a spiritual side in each of us in the first place. That's why "Part III" breaks the physical borders and allows this spirit to levitate somewhere high above, in celestial spheres, where Gods determine the fate of humans. A deep pulsating bass beat drives an epic ritualistic-like melody forming a unique acoustic space. Mythological and philosophical conception of the music is felt stronger than ever before at this point of albums' development. "Part IV" continues to stimulate the meditative side of Kshatriy with slower, but yet dark soundscapes. Waving windy effect draws pictures of immense caverns where ancient warriors secluded themselves to reunite with divine. The harmony is reached on the level of psycho-acoustics and subliminal processes allowing the deep connection between strength and spirituality which is so significant for the noble ancient caste. I think that it is truly exiting to track evolution of favorite bands for many years, to feel reflections of changes in their lives inside their music. Do the old methods and techniques stay up-to-date in terms of time perspective? Does the pass that was chosen ten years ago truly reflect the message and the impulse of the concept behind it? The first album from our Russian comrade has a short running time of 30 minutes only which is quite unusual for this genre, but it definitely shows the whole potential of the project which was revealed through his further records. It is a real pleasure to dim the lights, to light up few candles and let the music just carry me far-far away. My heart demands this sequel to continue its story, but before the release of the new opus, I have to be patient, very patient. Therefore, I push the play button and follow the steps of ancient warrior Kshatriy once again.